Humanware products are designed to last, to grow (and in many cases, to go) with the user. Giving them the independence to compete effectively with peers, to feel connected - to be a vital part of the global information age in which we live. We are now handling blindness products and are the exclusive dealer for Humanware blindness products in Michigan. 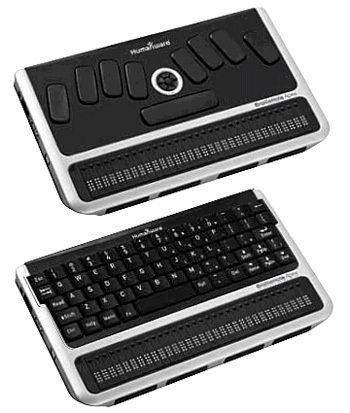 HumanWare has been helping people who are blind maximize their digital communications since 2000, when the innovative BrailleNote was first introduced. The BrailleNote family has continually evolved to address the needs of students, professionals and consumers. Today, advanced productivity as well as reading in total comfort are at the heart of all our note taking products. The new Apex is the thinnest and lightest Braille notetaker anywhere and has powerful KeySoft applications for dynamic real-time communications with NEW Windows CE 6 operating system. Also available in with a QWERTY keyboard and 18 cells. 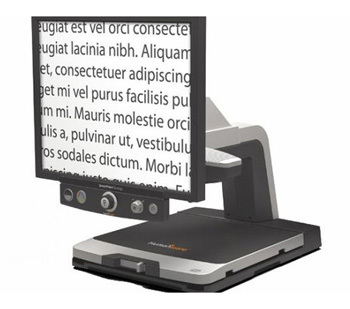 SmartView Synergy magnifies and enlarges text, objects and actions to help restore and maintain independence for people with macular degeneration, diabetic retinopathy or other low vision eye conditions. The simple to use controls, the ability to configure the system to their needs and Synergy's high quality image lets people reclaim their everyday activities. Available with a 19" or 22" LCD monitor, the Synergy has multiple color and enhanced viewing modes and magnifies from 2.6x to 69x, based on monitor size. 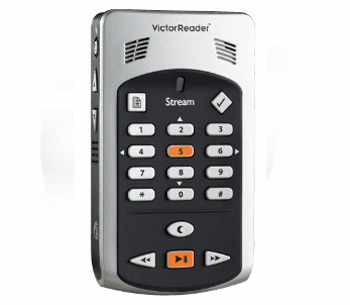 Download your favorite books and MP3s on your Stream and leave home with your library in the palm of your hand. This versatile, powerful DAISY-MP3 and NISO player lets you read and navigate through complex books, such as reference manuals and school books, as well as novels and magazines. You can also use its built in text to speech to read books in text format such as Bookshare. And that's not all... there are many more functions, including an integrated microphone to record voice notes. 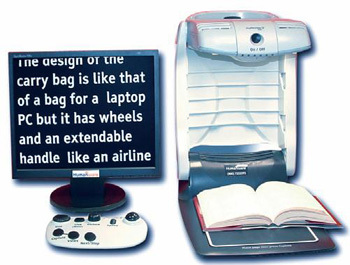 myReader2 is the new, improved auto-reader for low vision from HumanWare. You quickly take images of book or magazine pages and myReader2 rearranges the text onscreen. You choose how you prefer the text to appear, making reading easy again. Zoom out to find where you are on the page, then zoom in to read. myReader2 lets you read more, store more (10 pages at a time) and once more enjoy the world that lives between the pages of your favorite books.